In last week’s post, I described the one thing your MVP should do – check it out for good and bad examples of MVPs. To know what MVP to build, you must know your riskiest assumption. As your riskiest assumption changes, your MVP will change. In other words, creating your MVP(s) is a journey – one that starts by validating your riskiest assumption. Once you validate that riskiest assumption, a new assumption will become the “riskiest.” That means you’ll create a new MVP, or modify your current one, to validate it. You’ll continue this process until you acheive Product-Market Fit. You can build a product that makes customers happy. You can find customers who will buy it. The customers will pay enough for it. How do figure out which one is “riskiest?” How do you even evaluate the “risk” of an assumption? What your Riskiest Assumption is. What MVP should you build to test it. Where you are on your path to Product-Market Fit. Just answer the questions in the Riskiest Assumption Assessment and then take a look at the 5 Phases of Product Market Fit below to understand exactly what your next step should be. If you want a hand taking that step, the Assessment will also tell you the most helpful exercise for you in my upcoming workbook series, “FOCUS Framework: How to Find Product-Market Fit” (launching May 3rd). Based on the results of your Riskiest Assumption Assessment above, identify which phase you’re in now to learn more about the MVP you should build, and see what’s ahead of you on your path to Product-Market Fit. The riskiest assumption, for every startup, is that there are people actively trying to solve the problem your product will solve for them – these are the people we refer to as your Early Adopters. Experiment to Run: The best technique for validating these assumptions is the customer discovery interview. Interviews will answer any questions you have regarding the assumptions above, and set you up for success in validating the rest of your assumptions. Metric to Measure: What percentage of customers you interview report taking steps to solve the same problem w/n the last 6 months? Once 60% of your last 10 interviewees report actively trying to solve the same problem, in my book, you’ll have found your Early Adopters. 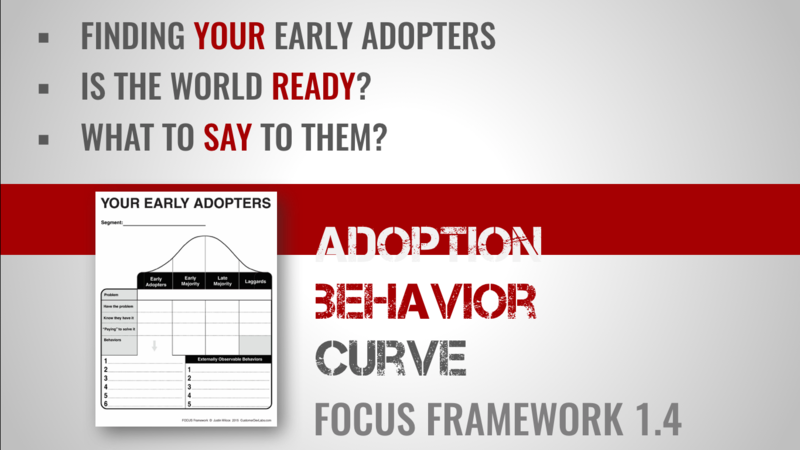 During your interviews, customers will tell you where and how to reach other Early Adopters. Your goal in this phase is to validate what they told you. In other words, you’re testing that you can find more Early Adopters, you know what to say to them when you find them, and that they’re eager enough for a solution to the problem that they ask you for more information. MVP to Build: To validate this assumption, you’re going to test a combination of marketing channels and marketing messages based on the results of your interviews. Metric to Measure: Once your Early Adopters’ response rate to your “Solution Offer” (i.e. click on your ads, respond to your emails, etc.) is high enough that you can clearly see a path to Product-Market Fit, you’re ready to test the next assumption. Once you’ve validated you can reach your Early Adopters, you need to test if they’ll “pay” you sufficiently to solve the problem. In this case “payment” can be in the form of actual cash, or it can be something else that leads directly to your Product-Market Fit (e.g. usage of your product, personal data, etc.) depending on your business model. MVP to Build: To validate this assumption you’re going to actually ask for “payment.” While you won’t usually take the payment (because your product hasn’t been built yet), you’re going to ask for it and measure how many Early Adopters try to pay you. Metric to Measure: Once your Early Adopters “payment” conversion rate is high enough that you can clearly see a path to Product-Market Fit, you’re ready to test whether you can start solving the problem! Now it’s time to test whether you can actually solve your Early Adopters’ problems. While it can be tempting to automate your first couple attempts at a solution, there’s usually a more efficient way to to test this assumption. MVP to Build: manual solutions are the best way to test whether you can solve an Early Adopter’s problem. While they make take more of your time to solve a customer’s problem, manual solutions are much faster to build, and even faster to iterate on, than automated (i.e. software) solutions. Metric to Measure: Once you’re solving the problem sufficiently well that your Customer Lifetime Value and your Viral Co-Efficient are high enough that you’re tracking towards Product-Market Fit, you’re ready to start scaling your solution! Once you’ve validated that Early Adopters exist, you can reach them, they’ll pay you, and you can solve their problems sufficiently, the only assumption left is that you can scale until you achieve Product-Market Fit. MVP to Build: now is the time you get to automate your solution, scale to multiple marketing channels, and branch out to your second and third customer segments. Metric to Measure: At this point you’re measuring that all your previous metrics (e.g. response rate, conversion rate, Lifetime Value and Viral Co-Efficient) are all still tracking towards you achieving Product-Market Fit. I know that’s a lot to digest, but you now have an overview of the entire path to Product-Market Fit. 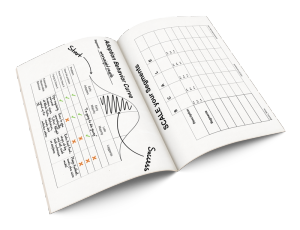 I’ve spent the last 18 months developing and testing that upcoming workbook series I mentioned – the FOCUS Framework. It includes 40+ experiments, exercises and tools, all inspired by my experiences teaching Lean Startup and Customer development at accelerators, and to founders 1-on-1, around the world. FOCUS officially launches May 3rd, and if you’re interested, you can get a $20 off launch-day coupon here: http://focus.customerdevlabs.com. (This one) What Kind of MVP Should you Build? Like last week, if you leave a comment below with a link to your landing page MVP and if it provides a good lesson for others to learn from, I’ll post a (public) video review of what you’re doing well, and what you might consider changing. Thanks to those who submitted their last week. I’ll be compiling everything for the final post in this MVP series! I’d also love feedback on the new Riskiest Assessment Tool. Let me know what you like, and what you don’t, in the comments below. the point. No fluff. I wish more newsletters were like that. are not sure what the next steps would be. it’s like an affiliate commission that people can set on the sale. sites for agents exist. What do we test in this case and how? 1. Figure out what problem you’re solving. I don’t care about the solution, and neither do your customers. That you’re describing your app like this “Basically it’s like an affiliate commission that people can set on the sale.” tells me you’re still thinking about your company from a product perspective (a founder-centric approach), not a problem perspective (a customer-centric approach). Don’t worry, that’s natural. Now is the time to start shifting your thinking though. Rewrite your pitch as something like, “We help ________ solve their _______ problem” where the first blank is a customer segment and the second is the way they would describe their problem. 2. Once you’ve hypothesized their problem, figure out if anyone out there is actively trying to solve it now. Note: just because other apps exist, and people use them, doesn’t mean you know the real problem they solve for customers. The only way to know is to talk to them. 3. Speaking of which, your next step is to talk to the customers who you think are already trying to solve the problem and see if they are in fact trying to solve the problem. While you’re talking to them, you’ll also discover the information that is critical to the success of your Offer Tests: the emotions the problem evokes in your customers, where to find other Early Adopters, etc. Once you’ve confirmed a pattern of people are actively trying to solve the problem, then you’ll move on to Offer Testing. One other thing I promise will help is the FOCUS Framework. This may come off as a shameless plug, but FOCUS designed to solve precisely thus problem – you want to validate your startup, but you’re not exactly sure how. FOCUS will walk you through the process step-by-step, with far more detail than I’ll be able to write here, plus a wide range of tools. Toss your email over here and you’ll get notified as soon as it’s available, plus get $20 off on launch day (May 3rd). I’ve read almost your entire website when I found it a while ago. Also read a few books on user research. E.g. “Nail It Then Scale It” and “Running Lean”. So I have somewhat of an understanding on how to do user research. I understand that I need to solve a problem. And I have applied this to general SaaS type product for work with some success. However, I now have an idea that I am not sure how to test. It doesn’t have a major pain point, yet I think it is widely applicable and people potentially will love it. Let’s say the idea is a site that lists discounts (it’s more than that, but basically it is that). I can assume that people like discounts, because they are widely offered and people use coupons and things like that. But how can I test that? How do I find out the right segment? What questions do I ask them? If I ask them the standard questions, like “What was your main pain when shopping last time?”, I doubt they’ll bring it up. So maybe it is that the pain is not strong enough. Yet it is widely applicable. Everyone loves a good deal. How do I test something like that? Only people who are trying to solve a very specific problem like discounts. Do you discounted laser eye surgery? How about a discounted diamond ring for your fiance? Discount food for your baby? The truth is, “Everyone loves a good deal.” is not true. It’s why Rolex, Porsche, and brand-name drugs exist, and it’s why Redfin hasn’t taken over the real-estate market. You need to find the people who are already looking to save money buying the thing you’re talking about. If no one is looking to save money, it’s a sign this idea is before its time. Loving your sites – both the customerdevlabs & thefocusframework. Hopefully you can help me with some questions I have – I’m helping a large listed corporate launch a SAAS startup focussed on enterprise sales. They want to create the framework of a “Go to Market” plan before they even have agreed the idea – not the detail for the “Go to Market” plan, just the framework. 1. In your opinion, is it a waste of time to create a “Go to Market” framework so far before MVP? 2. Do you have a framework specifically for a SAAS startup focussed on enterprise? Hey Eric, I think it’s a great idea. Depending on what they mean by “go to market” (assuming they mean establishing their marketing and sales channels), I love it. In fact, that’s what FOCUS teaches. The only difference, and it’s a critical one, is that before “going to market” you need to interview your customers to validate there’s a problem they are actively trying to solve that you can help them with. These steps correspond to the 5 stages in the FOCUS Framework, where I’ve combined “Offer Testing and Currency Testing” into the “Go to Market” step. Wow, this is sooo very useful! I also downloaded the workbook and it is the answer I’ve been looking for! I have studied lots of other resources and was always getting bogged down in what to validate/invalidate and how. Thanks! I’m supporting a great Media Literacy training program to take it’s work online. They’ve been working through local school districts for years and gotten rave reviews. I’ve already helped them see that nobody wakes up in the night wishing for Media Literacy–that’s rarely a pain point. I know that finding and reaching our early adopters through the online channels is our first risky assumption. I’m in the midst of drafting questions for customer discovery interviews and am looking for problems that folks have that are solved by this Media Literacy pedagogical approach (teaching critical thinking, engaging students, better standardized test scores cuz students know how to cite evidence, etc). I know that it addresses a lot of them. So I’m going to be surprised if less than 60% of folks have invested in solving some of these problems in the past 6 months. Let’s see! 1. We have outlined our hypotheses about which pain points and problems we provide the solution for and we will test them in customer discovery. There are several, as hinted at above. Do I need to hit 60% for each? Or instead rank the pains and make sure the top few hit the 60% mark? 2. I’ll use the analogy of trying to sell coconuts… when you sell ’em downstream, it’s easy cuz the current takes em there. Just like when your customers know they want your solution and recognize it. The opposite is selling upstream (takes lots of effort) like when customers don’t know they need your services and you need to educate them that your solution works for them (we can still get the goods to them but it takes a lot more effort on our part). Selling Media Literacy is mostly upstream. Selling a cutting edge pedagogical approach that addresses many of teacher’s needs is more downstream, and we can use their language for outreach, but seems like we still need to do some education… Just don’t want to sink a ton of time into customer acquisition educating potential customers. Do you have some insights here you can share? OMG just found a partial answer to my question #2 on page 27 of the Focus Workbook. Late Majority Problem!